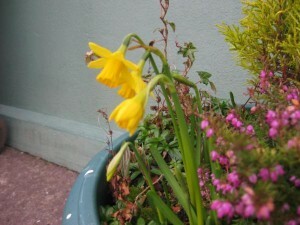 With the approach of the beginning of February and the beginning of Spring with the celebration of Lá Fhéile Bríde, I decided to organise a Twitter Project to gather information, observations and photographs on the signs of Spring 2012. Given that this was the first year that we tried this project, I think we can say that it was relatively successful. Lots of schools and teachers became involved and all used the hashtag #signsofspring2012 to keep all of the Tweets together. There were Tweets about the weather, the sunshine, the cold, buds on trees, birds building nests, the appearance of lots of Spring flowers. We also had some Gaeilscoileanna Tweeting “as Gaeilge” and using the hashtag #comharthaíanearraigh as well as the official hashtag. Schools were replying to each other which led to the project becoming collaborative in nature. 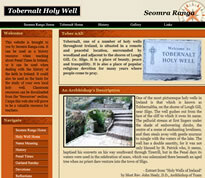 But perhaps the most pleasing aspect of the Project were the photographs that were included in Tweets. 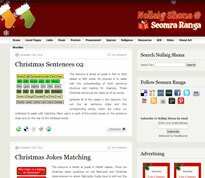 The photographs have been included in a Flickr Photo Album on the Seomra Ranga Flickr Page. The Tweets from the project have been gathered together using the Tweetdoc website – thanks to Fred Boss of NCTE for walking me through the process of gathering Tweets together for an event using this website. I’ve gathered the Tweets together into three lots as Fred advised that some Tweets can disappear from a timeline quite quickly. There is some overlap in the resulting documents, but I wanted to make sure that I didn’t miss out on any of the Tweets. I had also hoped to use the Tweets from the project to create a more dynamic document using the Storify website – all of the photographs would have been embedded in a Storify document – however, by the time I got around to trying this out, some of the older Tweets had disappeared from the timeline. I’ll try to get organised quicker on this next time. I think that the project has been worthwhile from both a curricular (SESE) and a technology point of view. However, next year I think it might be better to leave the project until the last week of February/first week of March as we may be able to see more real signs of Spring then. Nevertheless, browse through the documents below to get a flavour of what happened during the project. It may act as an incentive to join the project next year.